Would you like your very own Fallen Madonna with the Big Boobies this Christmas? 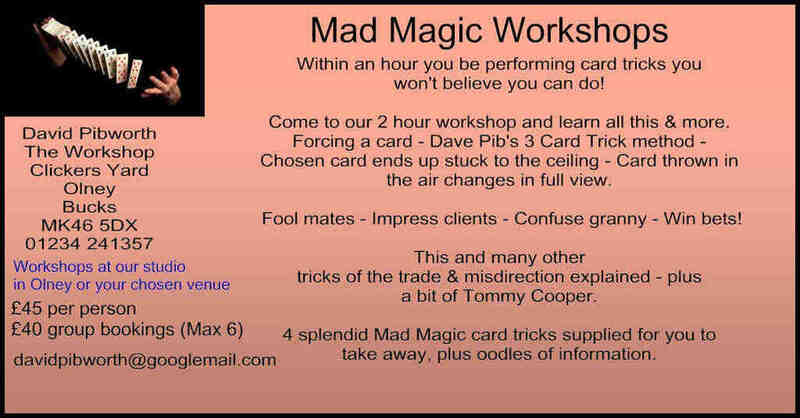 This year, I'm concentrating on getting The Arches Theatre up and running for next summer, plus I have the magic website which comes alight at Christmas as we sell all kinds of magic, though I am gradually moving more into stage illusion. One of our best selling items at Christmas is nothing to do with magic. It is The Fallen Madonna with the big boobies from 'Allo Allo'. As we supply the props to theatre shows for Allo Allo, I decided to make the Fallen Madonna's for the shows as each show needs two and they do like to keep them afterwards. It's now turned into a sideline and we sell them to many different countries. Today we have them going out to Germany (yes Germany!) Spain and Australia. And here she is. They are 550mm by 400mm which includes a 1" white border so they can be framed if you want to do that. They are on canvas. On eBay, they are £39.95 including post and package to the UK, but as a Christmas Special, you could own your own for £35. All you need do is to email me directly by clicking here. I'll then send you an invoice by reply, which can be paid by card or PayPal transfer and it will be winging its way to you by first class post. You could be the proud owner of a genuine Fallen Madonna forgery.